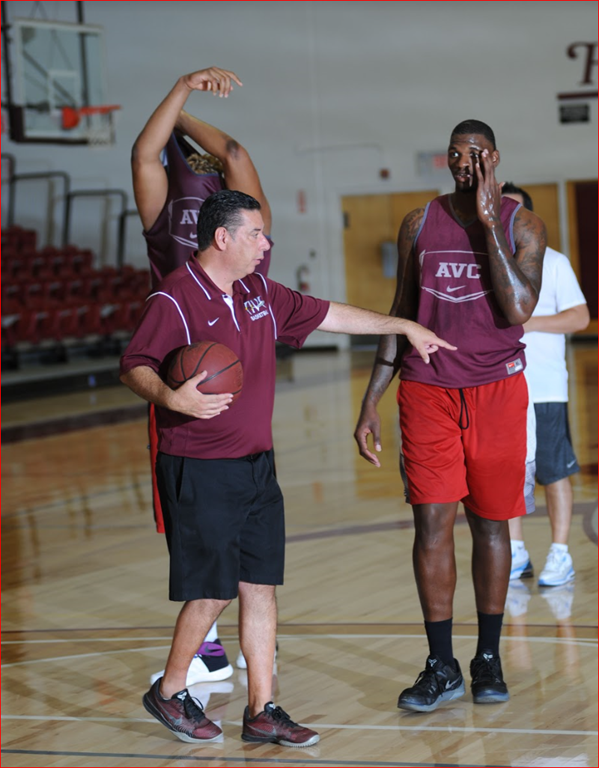 Coaches John Taylor and Mike Rios, working with Antone Ace Warren, 6’10”, 265 and Jessie Burns 6’8”, 275. The first week of the 2016-17 school year came to an end today. 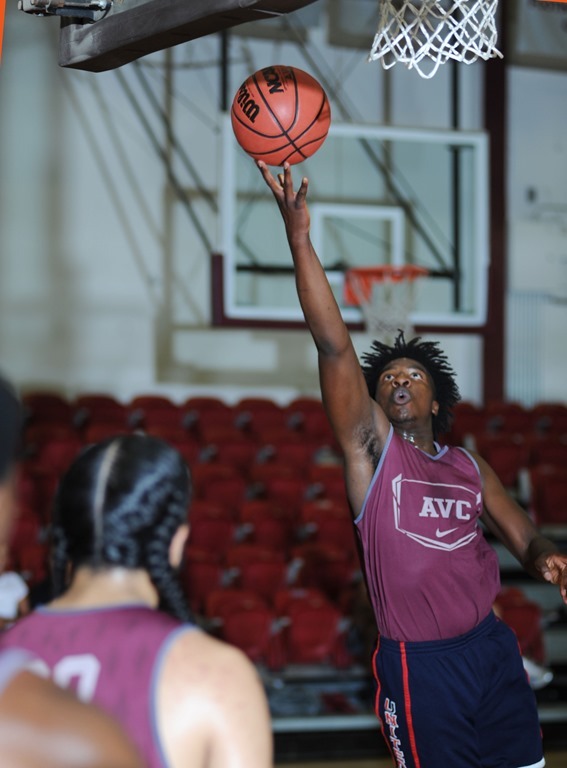 All of the players on the basketball players are signed up for their classes and and are done with all of the paperwork that goes along with college. With the majority of the AVC team being freshmen, it was a shock. Everyone in their classes. Even more of a shock for the freshmen was the basketball class. Like in the movie, the new players were saying, “I don’t think we’re in Kansas anymore Toto.” Two hours later floor work, and then following the joy of the track and the of course the weight room. Finally, the biggest shock for the freshmen was the realization their high school team captaincy, first team all conference awards and being the stud of their team didn’t mean a thing at this level. Everyone working out on the floor were as big, as fast, as talented or more so than they were. Ouch! A saying for some of the guys who took a few weeks off this summer. How some of the freshmen are feeling after practicing with AVC’s level of talent and coaches expectation. Should be printed on the front of a few T-shirts in the weight room. CSU Fullerton Joining UC Irvine and U of Hawaii to Dominate Paint?